There are some excellent pastor appreciation books available today. They are a great help for understanding your pastor. When deciding on which books are best for you, you want may want to consider the author's personal history. Pastors and former pastors or their spouses are generally better sources for subjects like encouraging your pastor. You also might want to consider the date the book was published. A lot has changed in the past ten years, and a more up to date book might be a better reflection of your pastor's current needs. 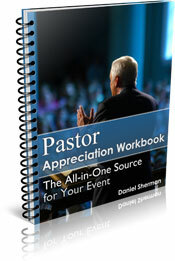 I wrote a short ebook that fits into the category of pastor appreciation books. 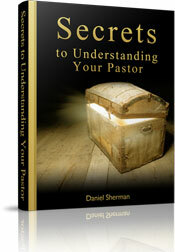 It's called, Secrets to Understanding Your Pastor. If clergy were to speak candidly about themselves, their families, and their churches, what would they say? Drawing on hundreds of interviews and surveys, George reveals surprising insights into ministers' hurts and heartaches, faith, health, spouses, children, finances, joys, frustrations, disappointments, fears, and dreams. Encouraging reading for everybody who cares about church leaders! 208 pages, hardcover from Zondervan. Pastors are human and experience depression, discouragement, and despair just like everybody else. Does your congregation support your minister when he needs it most? Exploring the flip side of pastoral care, Rubietta debunks the myth of the superhuman pastor and offers compassionate advice on how you can build healthy, mutually sustaining relationships with your church leaders. 180 pages, softcover from InterVarsity. These pastor appreciation books receive my highest recommendation. They are great sources of encouragement ideas and a better understanding of your pastor.